I was kindly invited to attend the launch of the West Coast Cooler Belfast Fashion Week for Autumn/Winter. We were greeted with a glass of West Coast Cooler and given an insight into the upcoming trends. The launch gave us an exciting taste as to what's coming for the Fashion Week shows in October! The CMPR models did an amazing job of showcasing pieces from local designers as well as some high street clothing. The launch was held in the fabulous Bullitt Hotel in Belfast - a perfect location! Cathy Martin organised the launch and did an amazing job! I intended to do an A/W trends post after doing my Summer edition but the launch inspired me even more! 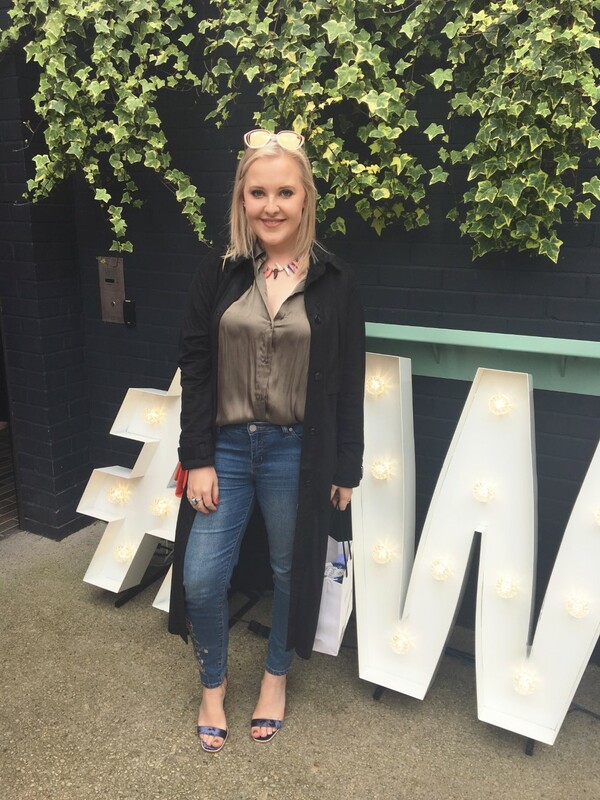 Using the event as inspiration alongside magazines, I've created a list of trends for you! So, what do you need to know for the new season? Head-to-Toe red is a trend that's been spotted on all the runways from Max Mara to Givenchy to Oscar de la Renta. It's such an eye-catching colour - I'm definitely on board with this one! I think these two go hand in hand so I've paired them together. Think constellations and moons; Metallics and glitter. Spotted on the runways of Chanel, Saint Laurent and Paco Rabane to name but a few. We've seen so many trends roll around from previous decades and this season sees the 70s coming back! It'll be psychedelic prints, corduroy and shearling all round! When it comes to textures, feathers and fur are this season's big players. Whether it's coloured fur or dresses embellished with feathers, this trend will definitely make a statement! Prada, Fendi and Miu Miu have all been sporting this trend. This season is all about the working girl and with that comes tailored, androgynous looks. It can be as simple as a blazer or even a full suit. Designers such as Victoria Beckham and Alexander McQueen have been displaying this trend. Tartan and tweed? They're in! Equestrian style, warm tones and chunky knits have been given a new lease of life! The runways of Stella McCartney and Chloé have shown off this trend. We've been seeing slogans all over tees and sweaters for a while now and this season it's bigger than ever! From empowering quotes to striking words it's an amazing to get across a powerful message; and one of the easiest trends to follow! It's been a long time since I've done a travel post and I'm so excited to be back with one - filled with pretty pictures. 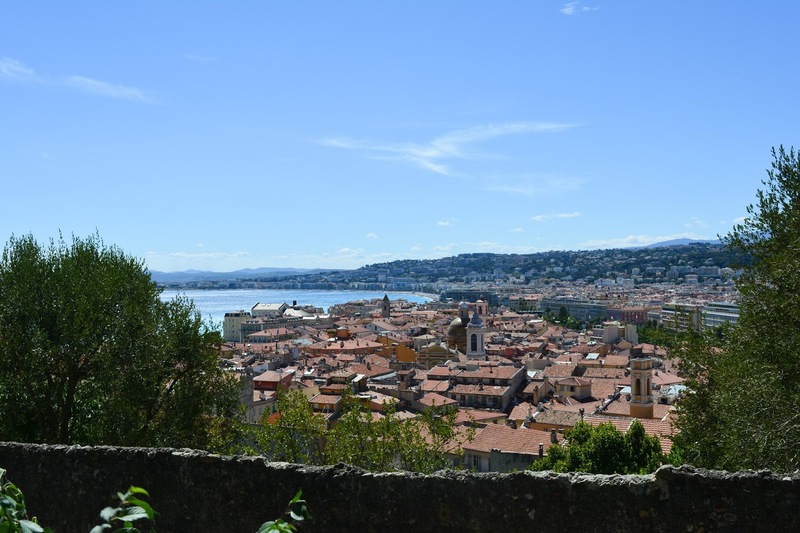 I spent a week in the South of France, staying in Nice with enchanting blue skies and French culture. I was brought back down to reality with a thump as I returned home to thunder and lightning. 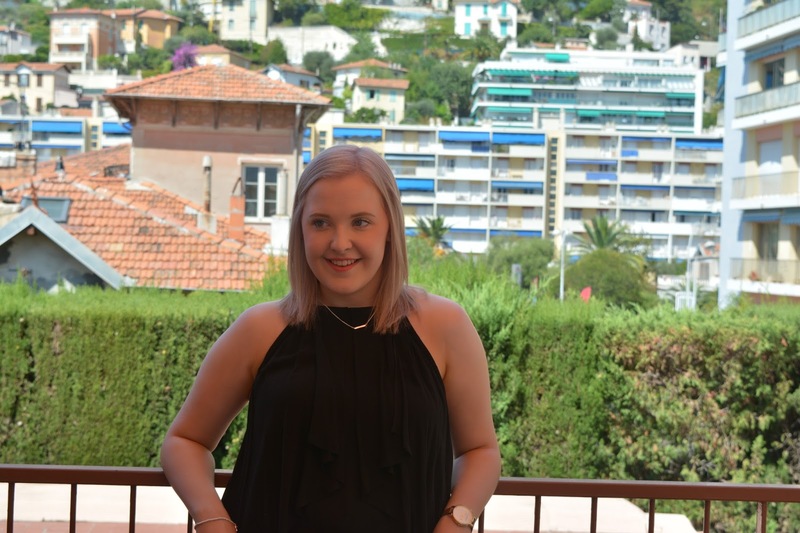 We visited lots of spots along the Cote d'Azur but as we stayed in Nice, I thought I'd share some of the best things to do if you decide to visit! 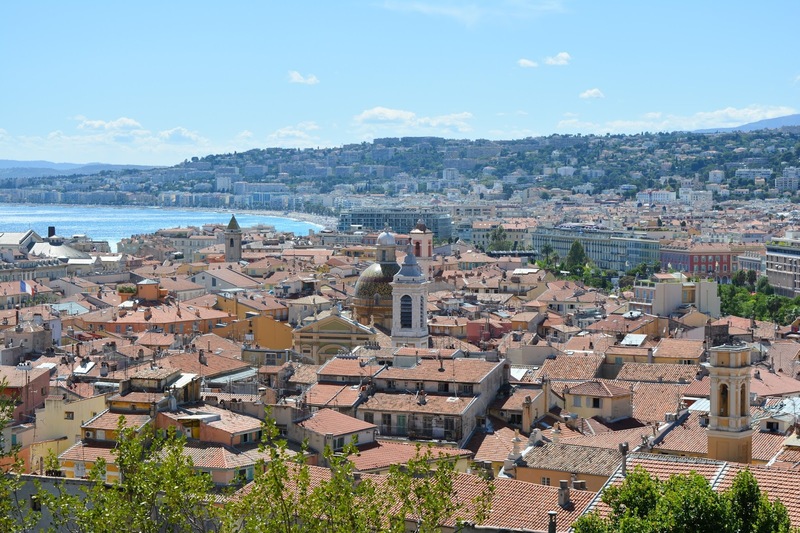 For a breathtaking view of the entire city of Nice, you need to take a visit to Castle Hill. At first I was apprehensive about this as I thought I wouldn't be able to go up it with my post-surgery back; I'd heard it was quite a walk. However, I was surprised. Yes, parts of it are steep but it's definitely worth it. It's a lovely walk and the view at the end is incredible! 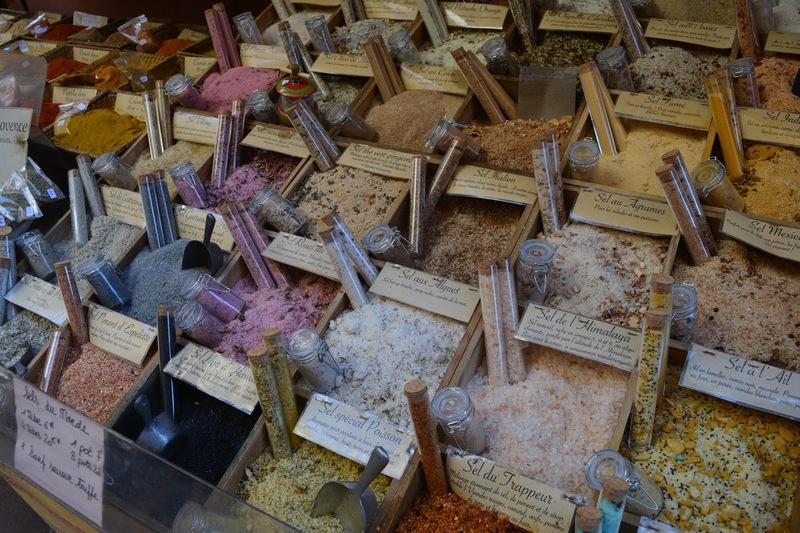 Located in Nice's Old Town, this is a must-see/do! 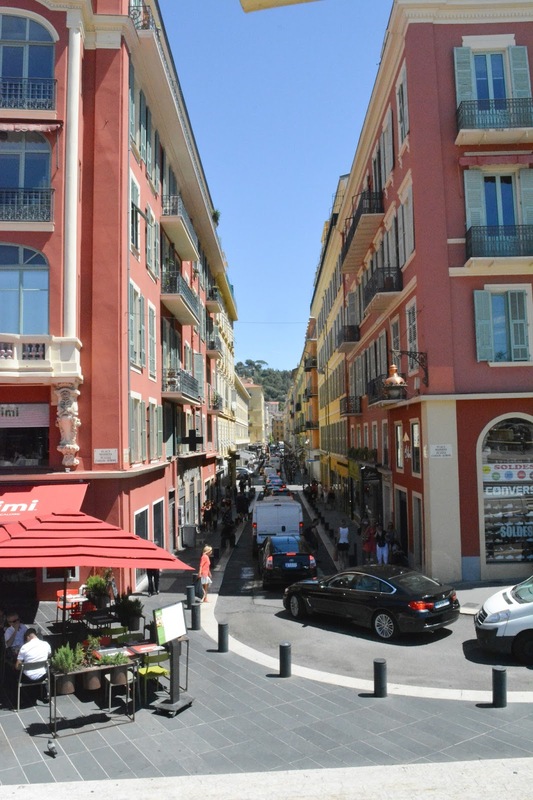 This was my favourite part of Nice. The Old Town is rich with character, winding streets and astonishing architecture. 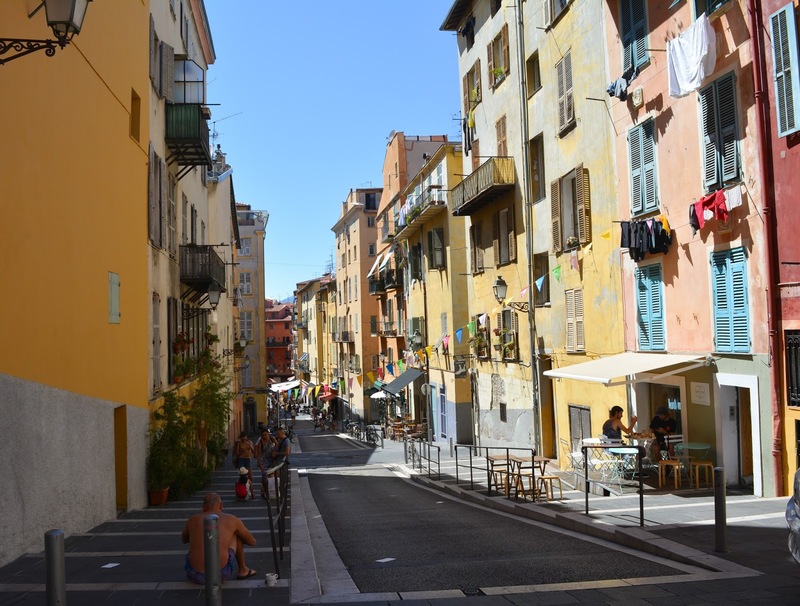 It's a contrast with the rest of Nice; This side of the city is filled with colourful buildings, markets and centuries of history. One moment you're in a modern city and the next you're discovering hidden gems of the Old Town. 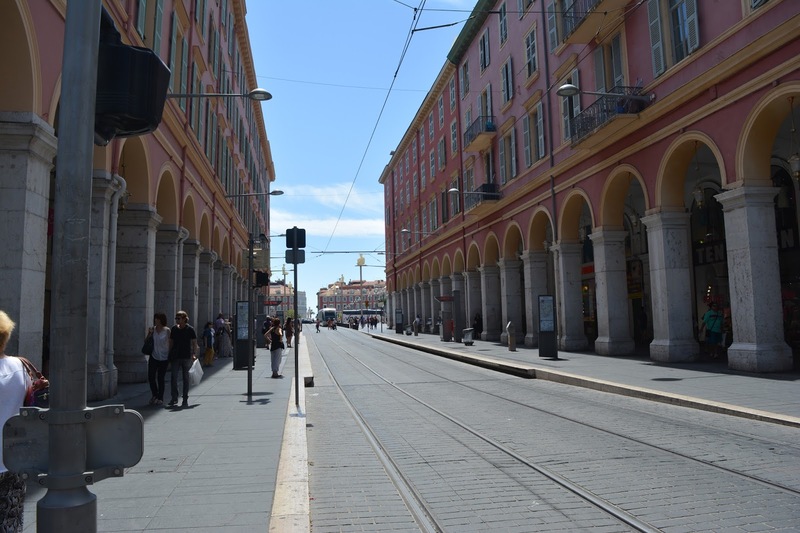 If you visit Nice without having a stroll along the Promenade des Anglais then you're doing it all wrong! This is particularly pretty at night when the city really comes to life. This walk really encapsulates the romantic and mysterious air of France. 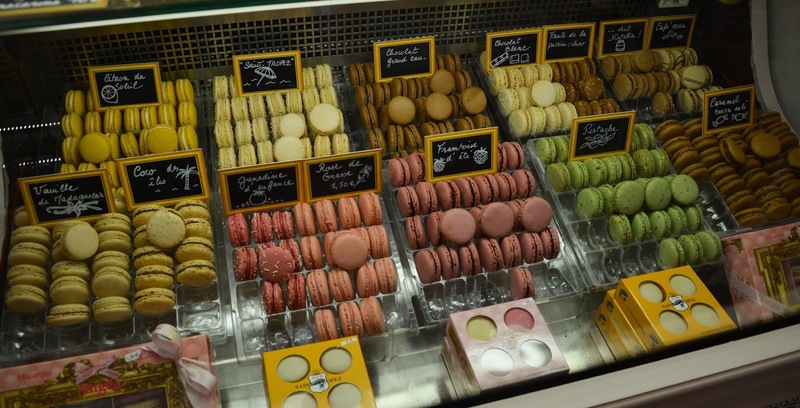 We came across this shop while we were exploring the Old Town. 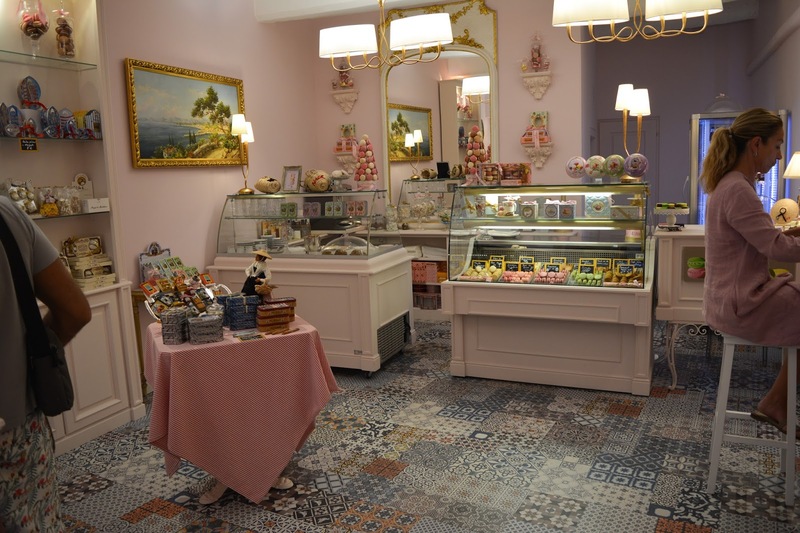 Quite possibly one of the prettiest shops I've ever seen...and its filled with macaroons! They have a wide range of flavours but we got the Rose - when I say this was the most beautiful thing I've ever tasted, I'm not exaggerating! We ate ours while admiring the view from Castle Hill; Can it get any better?! This was our last stop before heading home to sunny NI. 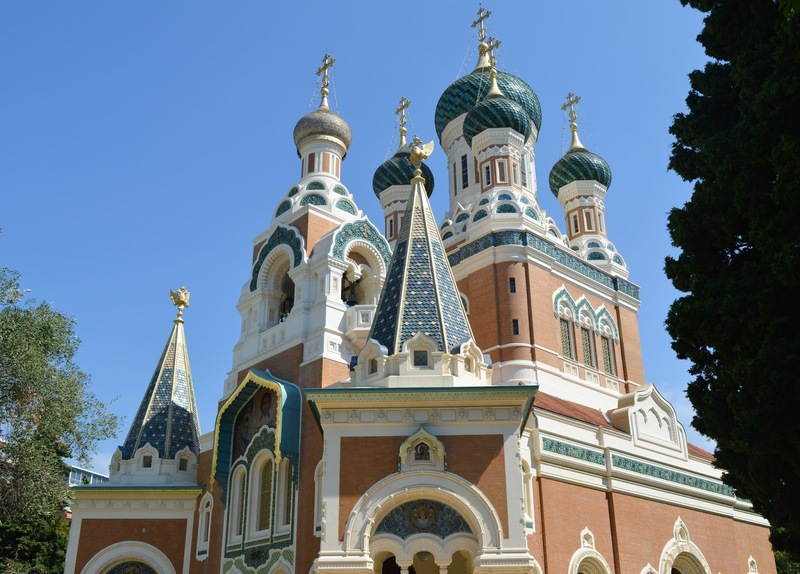 St Nicholas Cathedral is a Russian Orthodox church located in Nice. 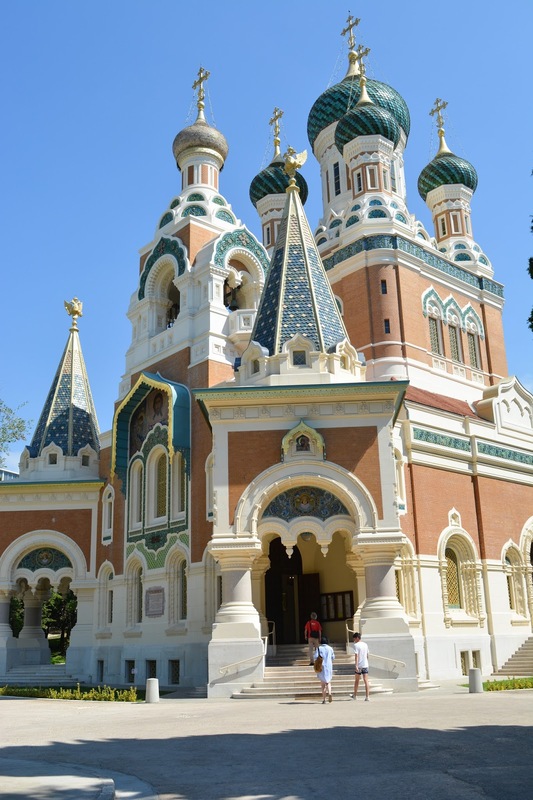 The architecture is simply amazing with the beautiful domes, colours and intricate details. The inside is just as stunning with gold and blue details everywhere you turn. To soak up culture and admire jaw-dropping architecture, this is the place to go!